He has been busy, drunk with that transformation that afflicts Israeli politicians when touring the United States. Deflecting and parrying while stabbing and thrusting, he should never have given an address to Congress in these circumstances. Cold water has been poured on it from high above. There were promises that certain members of Congress would not attend. Instead, Israel’s Benjamin Netanyahu was feted a third time, equal in number with Britain’s Winston Churchill, something which will no doubt be emblazoned on some artefact. While Haaretz (Mar 3) noted that Netanyahu was the “Superman at AIPAC” he was “no Churchill.” While lacking Churchillian, brandy fuelled gravity, Netanyahu’s puritanical address was certainly grave, a picture of the “Likud/Republican position on negotiations over Iran’s nuclear program”. Cold shoulders and distance from Iran is also suggested. Leave the negotiating room with disdain. Abandon talks. Let the Iranians work out that they are unpopular, that they will have to capitulate and dissolve into fit of regime changing ecstasy. This self-defeating point encourages Iran to go on the vigilante pathway to obtaining a nuclear weapon, and the image of a Freudian death wish comes to the fore. We dare them, and hope they do not disappoint us. Then came the conceptual deficiencies in the argument, what Matt Duss, head of the Foundation for Middle East termed an “Islamist Voltron Theory.” Central to it is conflation, involving the false lumping together of interests. It follows that constellation of views that all who are against Israel’s own policies are somehow conniving together in a secret boardroom to plot the fall of the Jewish state. “When it comes to Iran and ISIS, the enemy of your enemy is your enemy.” This is also the simplifying idiocy of Bush-speak: Iraq’s Saddam Hussein and Al-Qaeda were mortal enemies but accomplices at the same time. In the opinion of the Washington Post’s Paul Waldman, the speech “may well have done Netanyahu and his American supporters far more harm than good” (Washington Post, Mar 3). In the views of opposition head Isaac Herzog, who is gunning for Netanyahu’s position as leader of the Zionist Union Party in the elections this month, it was futile nonsense. 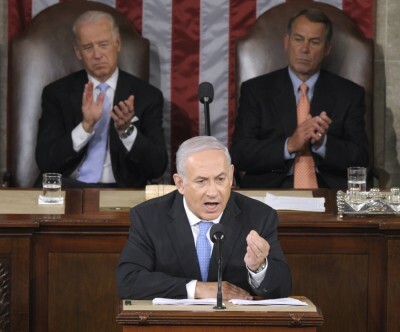 While Netanyahu might ventilate, “tonight’s speech will not influence the deal or Iran’s desire for a nuclear weapon.” Cooperation with the White House, he insisted, was vital (Defense News, Mar 3). Democratic Leader, Nancy Pelosi, had to do the dance of diplomatic distance – acknowledge the ties with Israel while dumping on its belligerent leader. All could “agree” that “a nuclear armed Iran is unacceptable to both countries.” Israel stood “as the greatest political achievement of the 20th century,” with which the US would “always have an unshakable commitment” to. But the Israeli prime minister’s speech was dripping with “condescension toward our knowledge of the threat posed by Iran and our broader commitment to preventing further nuclear proliferation.” All bases, in other words, had to be covered. The other side of this roughly minted coin of non-diplomacy is Netanyahu’s own intelligence services, who continue to provide a different story to rock the boat. It is not one the Prime Minister is keen to accept, since it portrays an Iran that is less barking mad than he would like. This unfolded in 2012, when he warned members gathered at the UN General Assembly that Iran was some 70 per cent on the pathway to finalising “plans to build a nuclear weapon”. The language of apocalypse was mandatory fare then, as it is now.